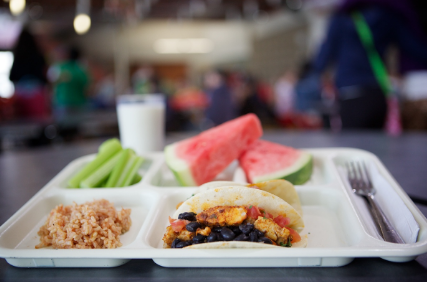 The School Food Institute gives school food service professionals and childhood nutrition advocates the in-depth training, operational skills, and strategic vision necessary to make school food fresh, healthy, and sustainable. Our engaging online courses give you a front row seat in Chef Ann Cooper’s classroom. “School Food 101” provides the overview and context of the operational demands of school food and the urgency of school food change. Participants will gain foundational knowledge about school food history, regulations, policy, and funding that will support informed advocacy for healthier food in schools; and leave this course with an understanding of how school food operates, and how a healthy school meal program can play a role in social justice issues for kids across the nation. Cost of training is $149. To enroll, click the link below.